Lawn grubs are pesky little insects which come from Japanese beetles laying their eggs in the lawn during sunny weather. 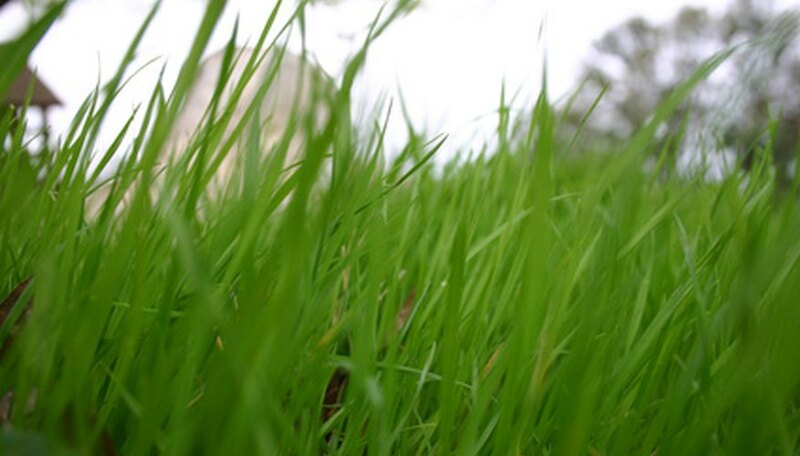 Lawn grubs survive by eating grass roots which results in killing off your grass and leaving yard brown and unsightly. By knowing what to look for in identifying grub worms, you can effectively use home remedies to get rid of them and keep your lawn healthy and alive. Milky Spore disease powder can be bought at any garden store. It is actually a container of fungus that you can sprinkle over your lawn. Milky Spore disease is environmentally safe and works by infecting the lawn grubs with its spores. The lawn grubs will then die, and as they decompose the spores will spread throughout the lawn to prevent further incidents of lawn grubs. Dust your plants or grass with baby powder. While the baby powder will not kill lawn grubs, they are repelled by the taste of baby powder and will therefore not eat your soil or plant roots. The grubs will find somewhere else to feast. Compost tea is made from dirt and compost soil. To make this tea, fill a big container or bucket with the compost material you will use. Fill the container with water and make sure to stir every day while it brews. The tea will be ready to use after one week. Use a strainer to drain the tea. Because the tea will be too strong, dilute it with 10 parts water to one part tea. Spray this mixture onto your lawn to get rid of lawn grubs as well as keep your plants and lawn full of nutrients. Mix laundry detergent with water. Use only enough for the area you plan to pour it on. This mixture won't harm your lawn but will work to kill the lawn grubs. Simply pour the detergent mixture on your lawn and watch as the grubs rise to the surface. You can then remove them yourself, or leave them for the birds and other animals to eat. Diana Reid has been a freelance writer for more than five years. She has a Bachelor of Arts in English from The Ohio State University and education in public health. She has been published in KidVisions, MicroHorror, "The Kids Ark Magazine," NACS, "Family Business Magazine" and has written hundreds of health articles for InventorSpot.com.